In Nevada, one has various options on how to handle a traffic ticket. This is because each jurisdiction handles tickets a little differently. Most offer an attorney several options on how to get your ticket reduced. Others might only offer the option of setting your Nevada traffic ticket for trial. Our office knows the difference and knows that it is important for you to speak to an actual attorney in order to offer the best possible defense. Unlike other firms, you speak to an attorney, not a secretary or paralegal, which cannot give legal advice. Our job is to keep you fully informed of the process and possible outcomes when it comes to traffic tickets. Nevada uses a demerit point system that assigns points to various types of moving violations. For example, speeding 1-10 may carry 1 point. Depending on the violation your insurance may go up as well. If you get 12 demerit points in a 12-month period, your license may be suspended for receiving the maximum permitted points in 12 months. Our office fights to get your moving violation and points reduced, ideally with no points or traffic school required. The last thing you want to do is plea guilty and pay a fine and not realize you locked yourself into points when it could have been avoided. It is possible for a citation to be treated as a criminal matter from the beginning. Typically, this happens with reckless and careless driving. Sometimes this might work to your advantage and other times this does not. Call 702-895-9111 today for a free consultation. If you fail to appear for a traffic ticket or miss a payment, this will cause the court to issue a failure to appear bench warrant. This will eventually be reported to the DMV who will then suspend your driver’s license. You may also be arrested and brought before the court. If you have a warrant our firm can help by filing the proper motions and then handling the underlying offense. Once your warrant is cleared, the court provides a FTA clearance letter for you to take to the DMV to reinstate your driver’s license. Remember that every jurisdiction is different in Nevada and all offer different options on how your attorney may proceed. Call our firm today to find out what we can do for your ticket or warrant. Call 702-895-9111 for a free consultation. This is for informative purposes only. This does not create an attorney-client relationship. Always seek legal advice. 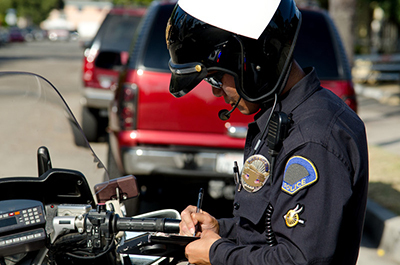 Our firm handles traffic tickets mainly in southern Nevada. However, there are some jurisdictions in northern Nevada that we may be able to assist with so please call our firm to see if we can help. Our firm handles tickets and warrants in Las Vegas, North Las Vegas and Henderson on a regular basis. 23120 Las Vegas Blvd. So. Just outside of Las Vegas in Jean, NV is the Goodsprings Justice Court. Our Firm handles tickets and warrants located in Goodsprings. Typically, tourist driving in from southern California get cited here, but don’t let this ruin your trip, contact our firm to help you fight this citation. Just outside Las Vegas is one of Nevada’s oldest mining towns. This town gets tourist on the way into Las Vegas because of the drastic speed reduction. Contact our firm today to help you fight this citation. Another popular tourist destination that tends to attract a lot of tickets for tourist is Laughlin, NV. If you have been cited in Laughlin contact us today.